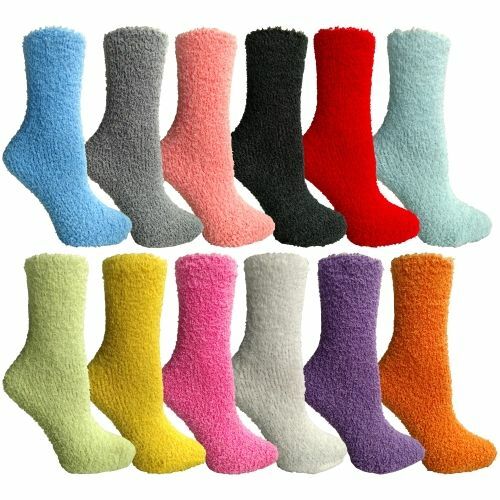 SOCKSNBULK Womens Solid Colored Fuzzy Socks (Assorted Colors, Size 9-11) at low wholesale prices. 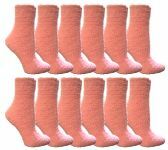 Socksinbulk.com offers Womens Fuzzy Socks at bulk discounted prices. Winter weather calls for cozy comfortable socks. What better way to start the season than with a variety of warm fuzzy socks. 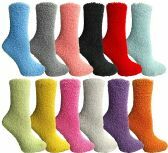 Made of butter soft polyester and has the perfect amount of stretch.Bright fun colors look super cute and keep your feet toasty and warm . Great for lounging around the house or walking around the dorm. Try wearing them with your favorite winter boots for extra warmth. 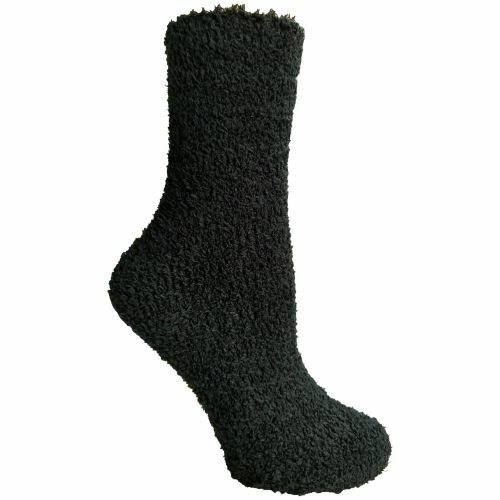 BULK VALUE: Cold floors have met their match with bulk packs of winter fuzzy socks. 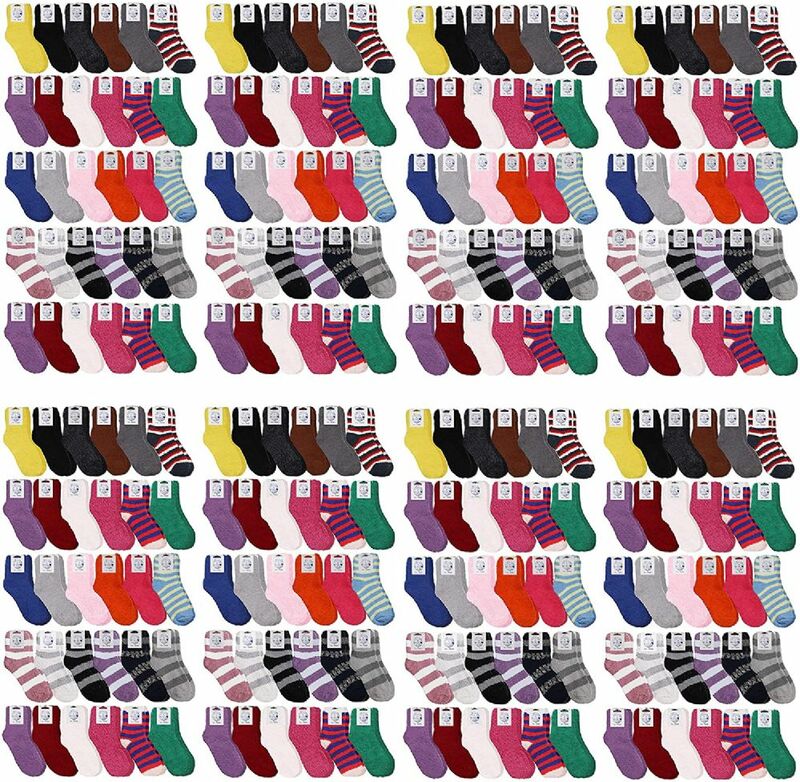 Never run out socks again when you buy a variety pack. 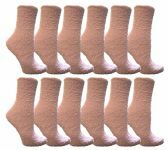 Bring them when you go skiing or snowboarding to keep your feet nice and warm. Pack them along for ski trips and hiking. 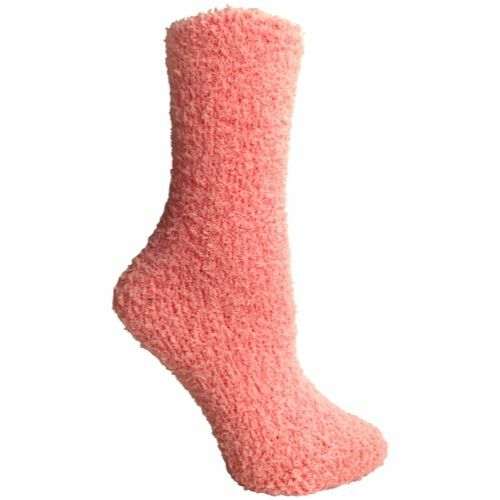 WARM & STRETCHY: Give your feet the softness they deserve with buttery soft fuzzy socks. 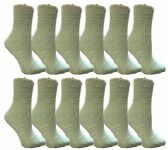 Wear them as socks or slippers on cold winter days. Stretchy material fits snugly but not too tight so they stay up all day. 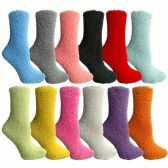 GREAT HOLIDAY GIFT: What better way to surprise your loved ones than a pack of colorful fuzzy socks. Great for Christmas, Birthdays and Snow days. Bulk pack is great for donations and charity events and makes a great stocking stuffer. A thoughtful gift to bring along on hospital visits.